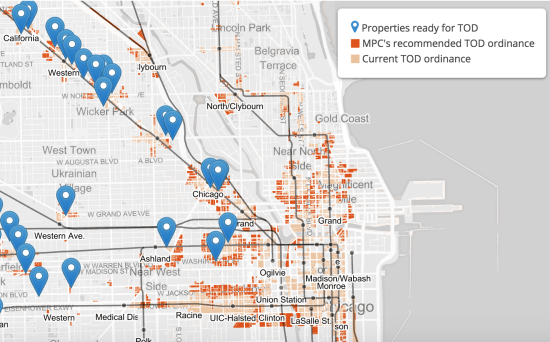 This week Chicago Mayor Rahm Emanuel will push a plan to expand transit-oriented development (TOD) by easing zoning restrictions and releasing certain projects from parking requirements altogether. 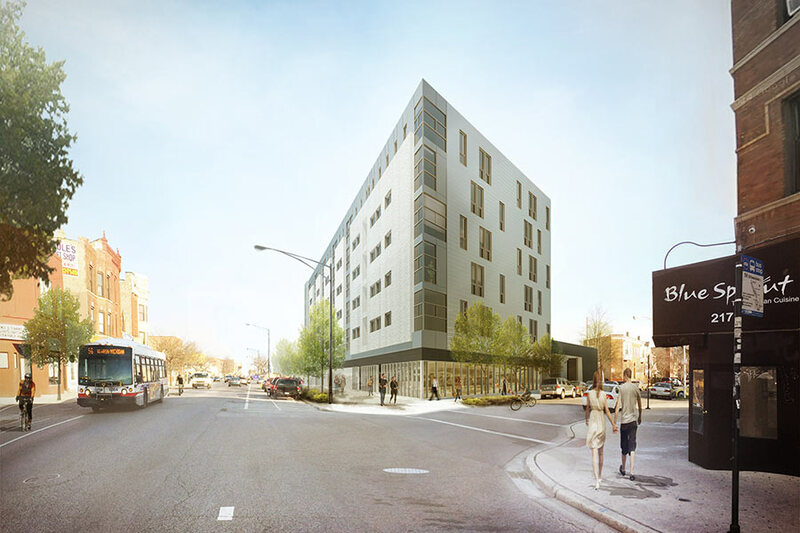 The city already has an ordinance providing for transit-oriented development and, as AN has previously reported, several projects have rushed to take advantage of it. Mixed-use developments with dozens of new housing units have slashed their parking lots, avoiding a longstanding code requirement that they provide one spot for every unit by building near transit stations. • TOD incentives will be available within an expanded radius from a transit station: up to 1,320 feet (1/4 mile) or 2,640 feet (1/2 mile) on a Pedestrian-designated street. • A 100 percent reduction from residential parking requirements if replaced with alternative transportation options, such as a car sharing station on site, or bike parking. • A streamlined process for accessing the minimum lot area, floor area ratio (FAR), and building height incentives by allowing developers to secure these benefits through an Administrative Adjustment from the Zoning Administrator, as opposed to a zoning map amendment by City Council under current law. • For projects that trigger the city’s Affordable Requirements Ordinance (ARO), an additional 0.25 FAR increase (to 3.75) if the development includes half of any required affordable housing units on site, plus an additional 0.25 FAR increase (to 4.0) if the development includes all required affordable housing units on site.